The article below explains how water from a source that most people wouldn’t think of – such as from air conditioners – can be captured and stored in water tanks to supplement municipal water supplies. As a rapidly growing population competes for limited water on a planet that struggles to sustain the nearly seven billion people who already call it home, it becomes more and more important — both ecologically and economically — to squeeze every drop of water possible out of the countless gallons that inevitably go to waste. Condensate from air conditioners, dehumidifiers, and refrigeration units can provide facilities with a steady supply of relatively pure water for many processes. Without water, your business, your town, and you could never survive. Water is vital to the continuation of all known life. We’re trapped on a planet whose entire water supply contains only two percent fresh, drinkable water, and approximately 99 percent of that is trapped as ice at the poles. Availability of water can be the determining factor in whether or not new construction, business, or commerce can successfully integrate into any given area. The city of Los Angeles, for example, would not have been conceivable without bold innovations that brought water to a place where it is too scarce for human habitation. Much has changed in technology, commerce, and industry since the city was founded, but not the basic fact that development requires water. 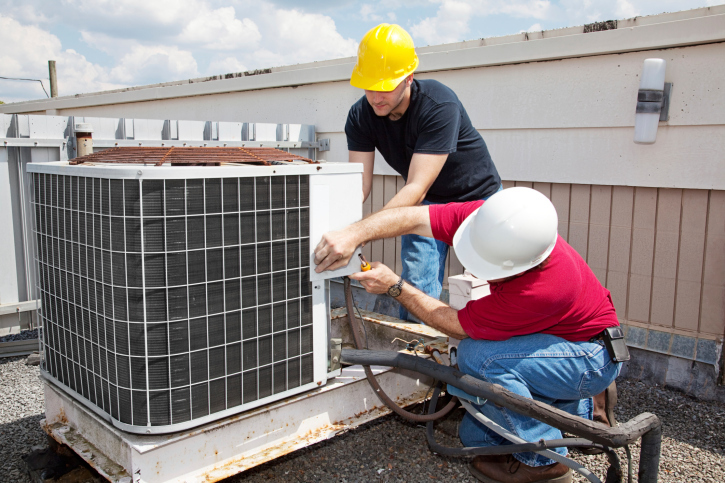 Air conditioners draw outside air across a coolant and into a structure through an internal fan. When moisture trapped in the warm outside air cools off, it condenses and forms liquid. That liquid usually falls to the ground below — a precious resource wasted. Condensation harvesting draws that liquid into a collection point and saves it for later use. Contrary to popular belief, the water is no less healthy than dew or rainwater. Condensate harvesting is a remarkable way to take water that would have gone to waste and catch and collect it in water tanks, like those sold at RainHarvest.com. The technology can be applied to most industries, and it has countless secondary benefits, such as integration with mechanical system cooling for lower peak energy costs and higher reliability during heat waves, as well as standard uses such as irrigation and toilet flushing. Harvesting condensate is a green and profitable way to do business. Catching, harvesting, and storing the massive amounts of water that collect from condensation on things like industrial air-conditioning units is not only sound environmental policy, but it’s good for your balance sheets. It reduces municipal water demand, and stored water in water tanks can be made available during future water outages or to use in your business’s landscaping, bathrooms, and HVAC system. CFOs like Gary Crittenden would likely encourage condensate harvesting, simply for its cost savings. Water is limited, finite, and precious. Businesses — especially those in arid climates — will do well and good by lowering their bottom line and arming themselves with a future store of a crucial resource, all while joining the environmentally-conscious business people who are driving the green movement. Source: Andrew Lisa (Andrew Lisa is a freelance writer living in Los Angeles. He writes often about the green energy movement).